Dinky Toys are die-cast zamac miniature vehicles which were produced by Meccano Ltd. Dinky Toys in England were made from 1935 to 1979. The factory was at Binns Road, Liverpool, England. There were also factories in Bobigny and Calais (both France) and production in other countries. The name 'Dinky Toys' belongs to the world famous range of toy cars produced by one of the world's most famous toy manufacturers, Meccano Ltd. The factory in Binns Road, Liverpool, made high quality metal construction sets, model railways in 0 and 00 gauges, clockwork boats, chemistry sets and many other educational toys. the toy cares were first produced as lineside effects for the Hornby Trains and were added to the Modelled Miniatures' range of figure sets. 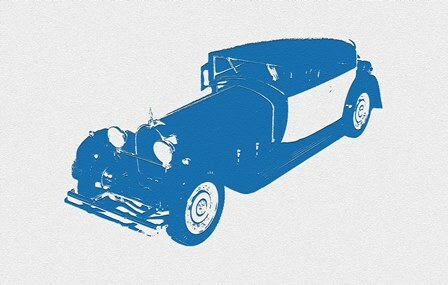 By 1934 the vehicles had taken over and the range was renamed to reflect this. 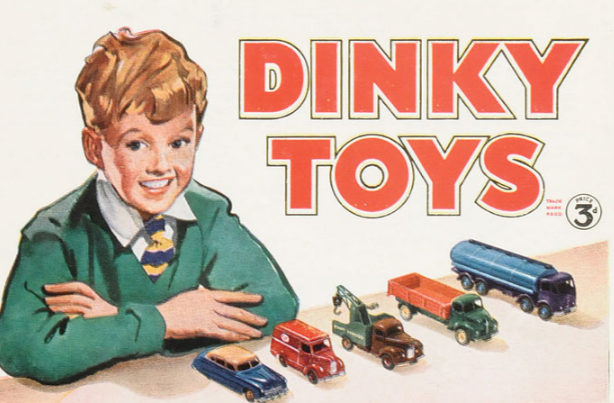 Dinky Toys were the most prolific and diversified range of toy vehicles ever made, so much that the name 'Dinky' has been taken into common usage to denote any small toy car much as we often refer to the vacuum cleaner as a 'Hoover'. Dinky Toys have the greatest number of aficionados of any make of toy and are collected throughout the world. After Meccano's bankruptcy, the Dinky Toys name came under the ownership of Kenner Parker, and some small-scale diecast models made by Universal of Hong Kong were issued under the Dinky Toys name in the early 1980s. In 1987 the rights to the name were purchased by Matchbox, then owned by Universal, which resulted in the "Dinky Collection" series of 1/43 scale models issued from 1988 onward. This series came under the umbrella of Matchbox Collectibles in 1991, and after Mattel had taken over Matchbox in 1996, the Dinky name was used only sporadically. In recent times Mattel has licensed the Dinky Toys name to Editions Atlas, who have used it on a series of re-creations of vintage French Dinky Toys. This started in 2008 and still continues.